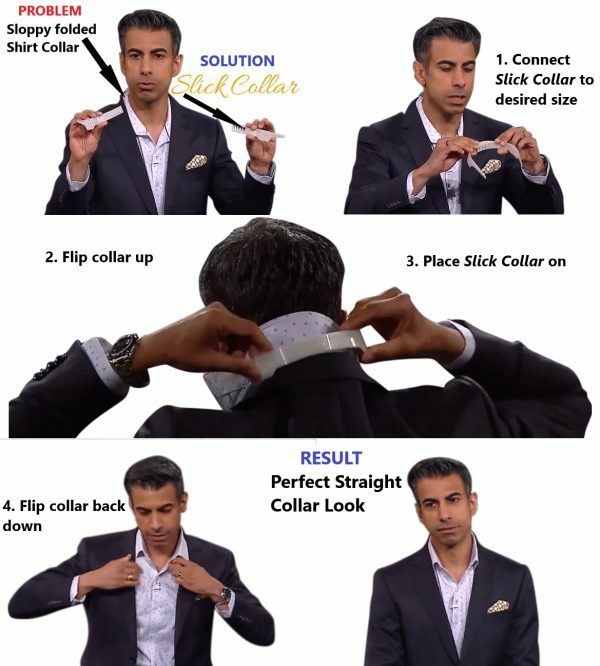 Your shirt collar support solution bundle, perfect for dress shirts and polo shirts of all sizes! 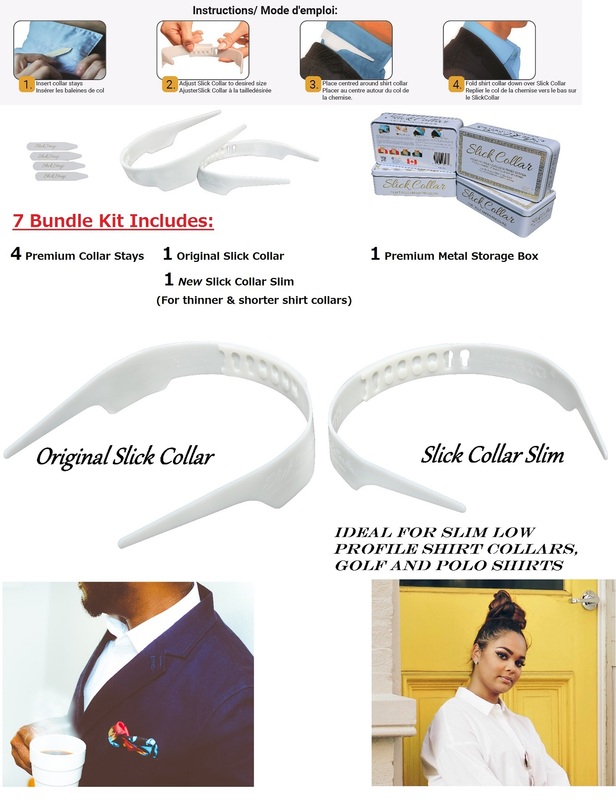 This bundle includes the Original Slick Collar, Slick Collar Slim, 4 Premium Quality Collar Stays, and the Every Day Carry Metal Box that comes with this bundle. 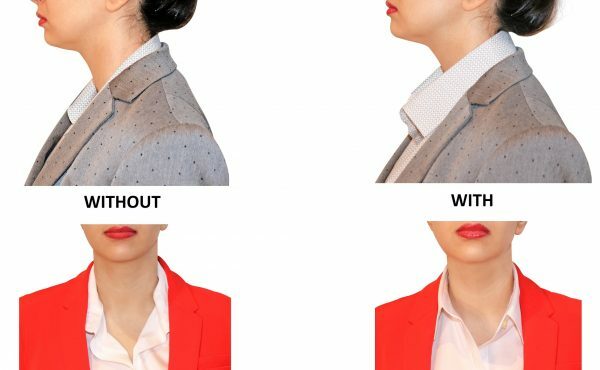 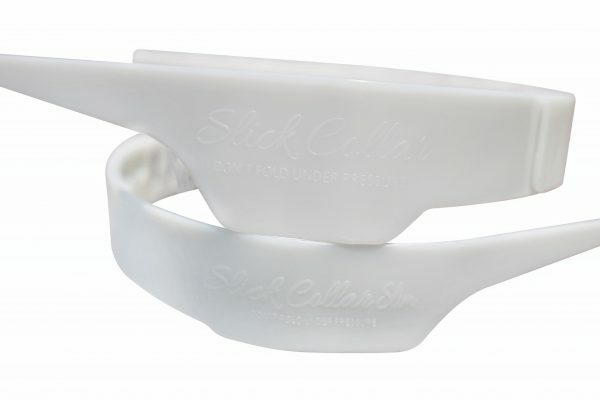 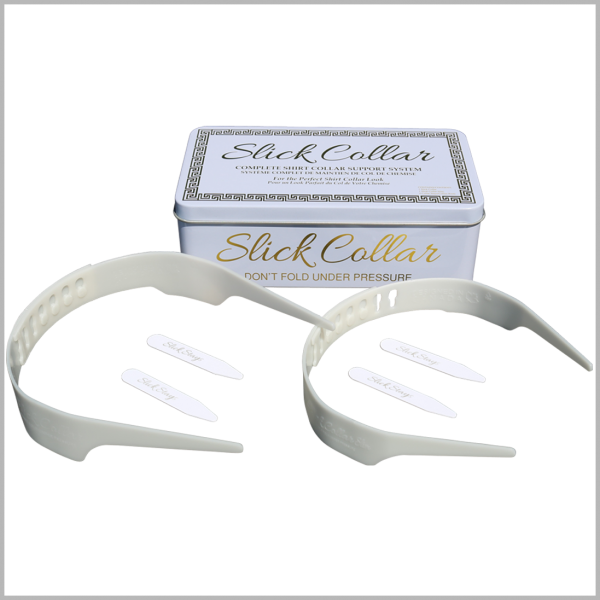 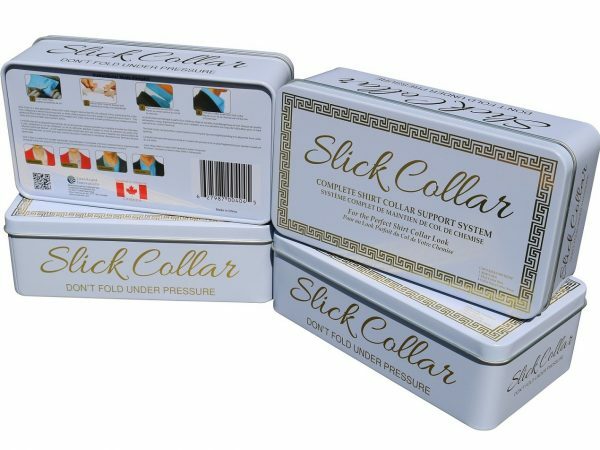 Slick Collar is the first adjustable unisex shirt collar support solution, designed with consumer’s comfort in mind!